My personal library was started by my Grandma Deatrick when I was an early teenager. I can’t say that I was thrilled to get a Strong’s Concordance for my 14th birthday or Willmington’s Guide To The Bible when I turned 15 or Vines Expository Dictionary of Biblical Words when I turned 16 (I was only thinking about driving then). Now, because of the personal sentimental value, I wouldn’t think of letting those books go. Since then and over the last 25 years or so, my personal library has blossomed to over 2500 books. It is mostly theological, ministerial, and Christian in nature, with a solid percentage of history and biography making up the balance. One of my frustrations has been the organization of my books; years ago I attempted a database where I entered everything manually, it would have been an interminable project. 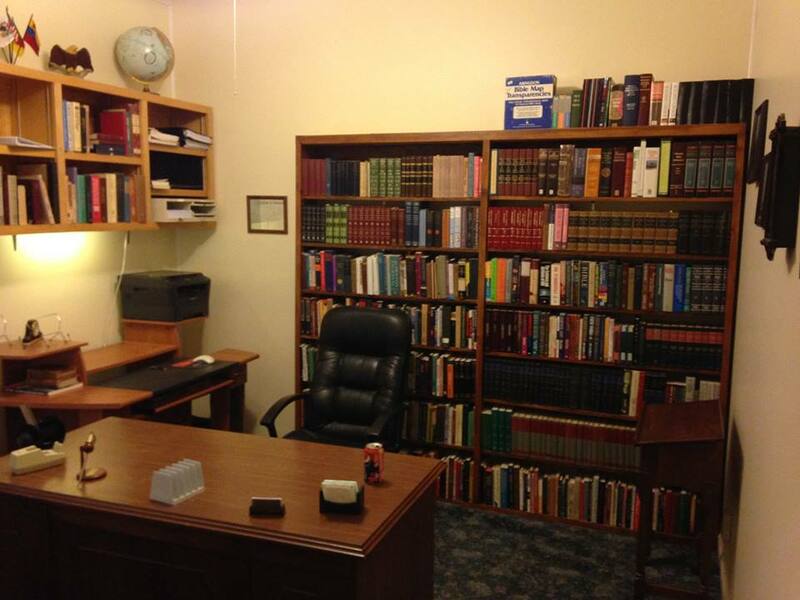 I recently googled “how to organize a theological library” and found the website LibraryThing. I did some research and comparison on this site and have wondered why I have not heard of it before. I have started using it and have realized the great potential that it has for helping to organize my library. I can’t enumerate all of the things that it will do on this post, but imagine a network which after you quickly and simply entered a book into your library, you could immediately access all other books by that author, find out which of your friends have that book in their library, read the reviews that anyone else has written for that book, immediately view the bibliographical material without ever taking the book off the shelf, etc. – this is only scratching the surface of LibraryThing. There are so many options and tabs on the site that it is a bit bulky to navigate at first, but it is more like a toolbox than a Gerber multi-tool, so sometimes you have to do a little digging through the toolbox. However, all you have to do is enter the ISBN and the book is immediately entered with all information into your online library. If you have an iphone and the LibraryThing app, all you have to do is scan the barcode and it enters the book into your library (I’ve only entered 374 at this point, but it is as easy as taking a picture). Please take my word for it, if you have a personal library, are building a personal library, or simply have a few books and love books, you need this tool. LibraryThing has just under 2 million users and is about 10 years old. You can enter 200 books into your personal library for free and then it is either $10 per year or $25 for a lifetime membership (not to use it, but to add any more books to your library). However, for this month, since they have just released the app for iphone, if you download the app and start your account through it, you will receive a free lifetime membership – can’t beat that! I’m not being paid to endorse LibraryThing, but I do have an ulterior motive. LibraryThing functions as a social network for book lovers. Many of you have books that I have thought of purchasing or for which I would like an honest opinion or even review. If you simply rate the book by clicking how many stars you would give it or even write a review for it, it would be a tremendous benefit to other people of like mind or interest. If you do sign up for LibraryThing, I would love for you to leave your user name as a comment below and then I can “friend” you and we can begin to explore each others libraries (if you prefer it to be private, let me know and I will have it myself but will not publish it as a comment). One final note – if any of you ever publish a book and don’t put the ISBN barcode on the back cover, I will probably not purchase your book (just kidding, but it makes life so much simpler to be able to scan the barcode than to have to enter the number by hand). This is a great idea! Just signed up through the app. Thanks! Wow, that sounds interesting! I’ve actually tried a couple of library organizing apps but haven’t been enthused with any of them. I’ve also used GoodReads, but it lacks the library management features, though it excels on the social sharing side. Thanks for the recommendation for this site, I’ll go check it out!